SCANNING	Models can be inserted manually, as usual, or automatically, by a scanner, also piece by piece. TECHNIQUE	All the technical operations, that manually would be very complicated, with NAXOS become easier and faster. GRADING	The size grading functions satisfy any possible need for restrictions or local variation. The parametric structure always guarantee a correct work even for the less expert user. TECHNICAL SHEETS	They are graphic and completely parametric. The presence of a visual editor allows anybody to create and modify the technical card according to one's taste and needs. 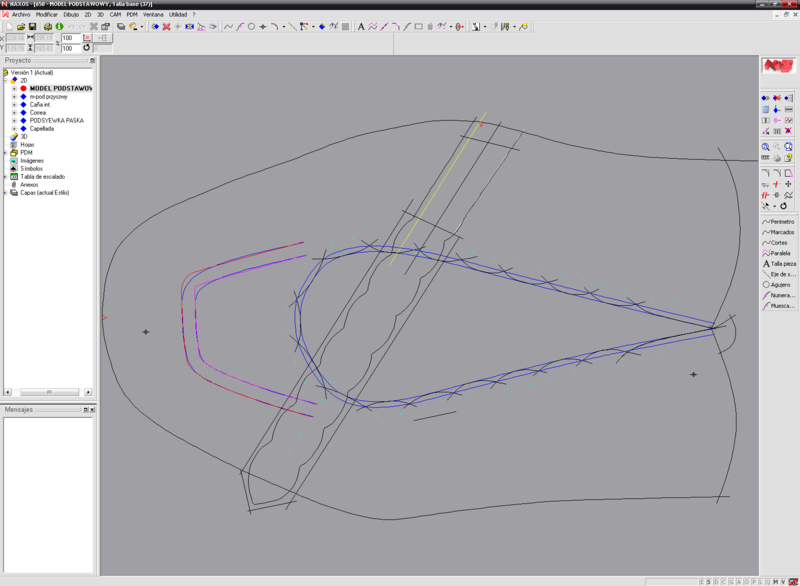 PERIPHERALS	The CAM functions simulate and generate the cutting path for the CNC peripherals. The multi-threading Kernel of NAXOS can work on many placements at the same time, while it goes on the working on the same model.